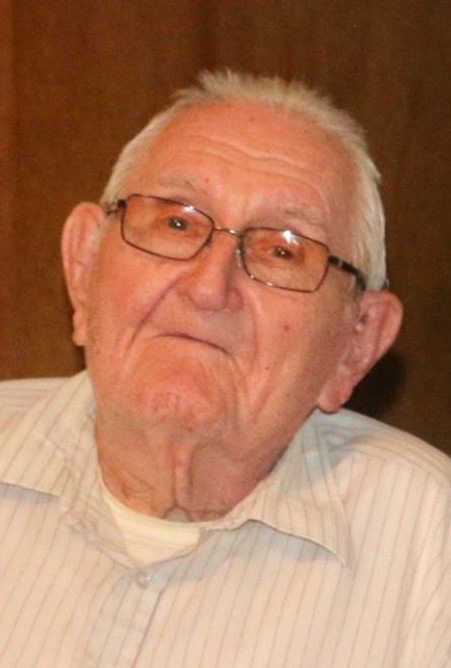 Bulls Gap: Carl Hawkins, age 95 of Bulls Gap, went to be with the Lord on Thursday, November 29, 2018. He was retired from the Hawkins County Highway Department. Carl was saved at an early age and was of the Baptist faith. He was preceded in death by his son, Wayne Hawkins; parents, Henry and Flora Hawkins; sister, Marie Bell; brothers, Hillary, Roy Truman, and Marvin Clay. He is survived by his wife of 73 years, Mary Hawkins; daughter, Sharon (Dale) Long; son, Roger (Judy) Hawkins; grandchildren, Stacie (Nick) Russell, Josh (Heather) Hawkins, and Matt Hawkins; great-granddaughters, Paislie Nickole Russell and Ava June Hawkins; sister, Launa Wheeler; sister-in-law, Betty Grigsby; several nieces and nephews. Special thanks to his friend, Danny Ball, and Smoky Mountain Home Health of Morristown. Visitation hours will be 5:00 P.M. to 7:00 P.M., Sunday, December 2, 2018 at Broome Funeral Home, Rogersville. Funeral service will be conducted 7:00 P.M., Sunday, December 2, 2018 in the funeral home chapel with Rev. Dannie Bell and Elder John Arnott officiating. Graveside service will be 11:00 A.M., Monday, December 3, 2018 at Otes United Methodist Church Cemetery. Broome Funeral Home, Rogersville is honored to serve the Hawkins family.